The uncomfortable soiree, the disastrous dinner party, the graceless gathering—we’ve all been there, nervous, sweaty palmed, florid and flushed, floundering through a forced exchange, you and your fellow failing-raconteur muddling over one awkward silence after another, while anxiously waiting for salvation. Finally a guardian angel brings the entree and you quash the discomfort by remarking upon the sweetness of the shrimp. The art of conversation is just that, an art—few of us can say they haven’t had a situation where they have staggered through dialogue, and eventually fallen short with absolutely nothing to say. Fortunately or unfortunately, chitchat is a fundamental element of the party/get together, and if the art of fine, or at least continuous, conversation doesn’t come easily to you, fear not, small talk with strangers can often cause even the most outgoing individual to nose-dive. Fortunately a solution exists, conversational home decor—think interesting pieces of art, intriguing statues or accessories that spice up your interior domestic space and provide numerous options for chitchat and witty repartee. So say goodbye to lumbering luncheons, troublesome teas or bungling shindigs and take some pointers from the following examples that are sure to get the tongue wagging and the brain buzzing. 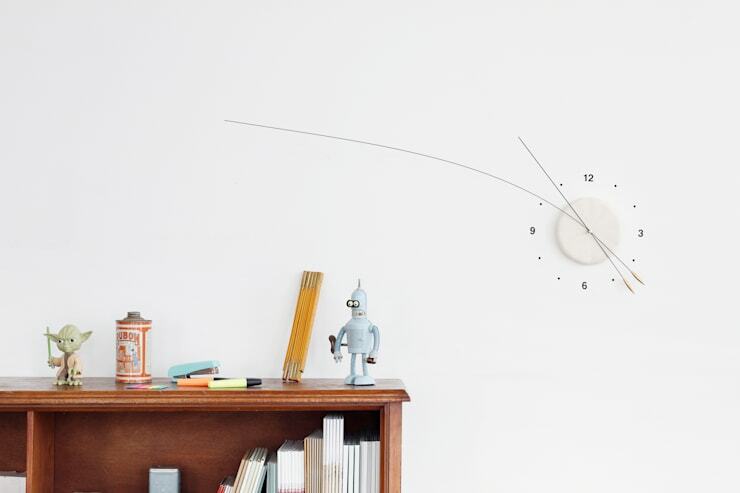 Like whiskers on a cat, or fine harp strings, this stunning and indeed striking wall mounted clock from Studio Ve is sure to draw attention away from your stale store-bought hummus and create vivid and colourful conversation. Install this statement timepiece on a crisp white wall and pair with funky and eclectic figurines, art deco timber furniture and a good selection of vintage novels for a space that oozes intrigue and captivates. Is it a rug, a piece of embroidered carpet, or a work of art in its own right? This fun piece of wall art/useable rug is sure to get the punters chatting. 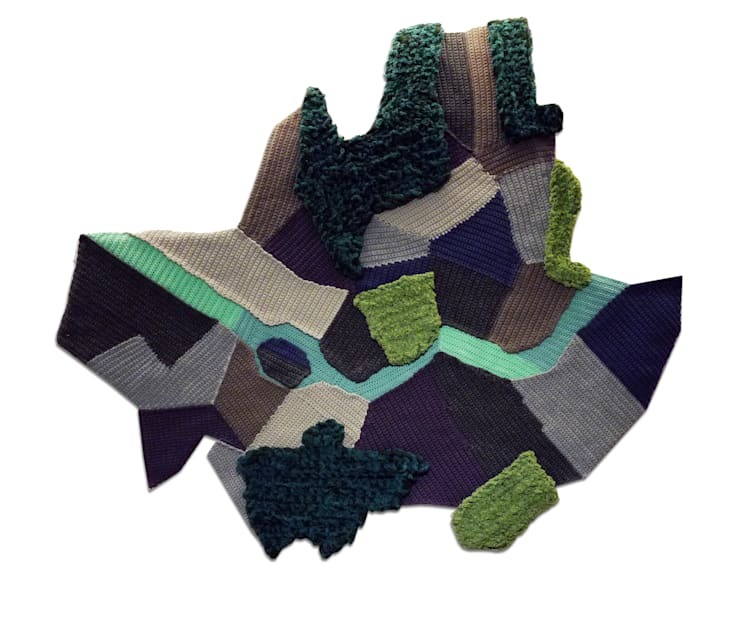 Constructed in the shape of South Korea’s Seoul, your friends, family and party guests will spend hours guessing and conjecturing as to which part of the earth this rug city lies. If you are looking for a centrepiece, a real statement for your dining room, living space or lounge, then look no further than this prominent and exciting example. 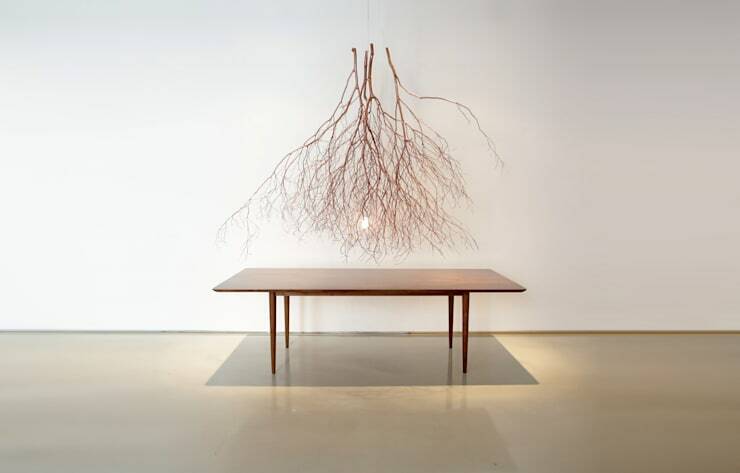 Fashioned in the shape of an upside down tree, this piece will ensure your guests are anything but bored, moreover it will add a sense of design eccentricity and chic style to your domestic space. 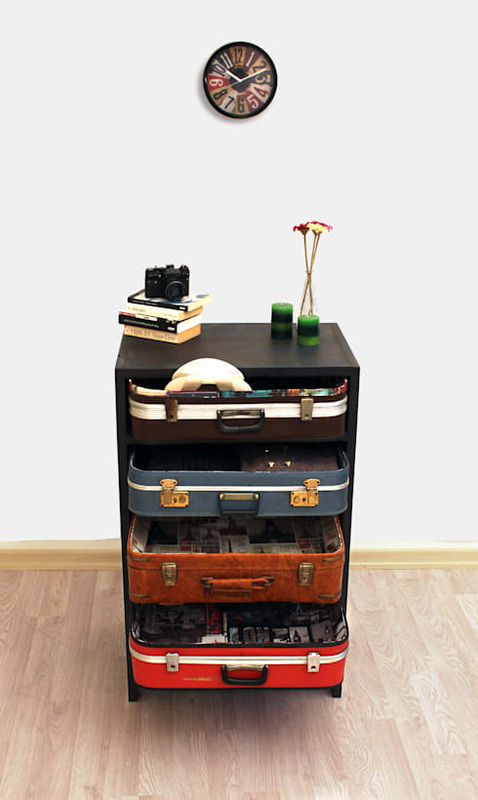 These days we are seeing more and more repurposed and upcycled furniture, and this wonderful example displays exactly how vintage items can be delivered a new lease on life when reconfigured and refreshed. Pair this creative chest of drawers with other vintage accessories, white walls and watch your space come to life. Time to start thinking ‘outside the box’—these wonderfully original wall mounted flower holders help to transform your room into a workable piece of art. Simply visit your local florist, pick a desired hue to coordinate with your space, purchase flowers and observe your abode transform into an interesting and fun residence. When real foliage just will not do, this metal cast tree is sure to turn heads and inject a sense of brash eclecticism into your domicile. Items of this stature require a large amount of space to truly reach their striking potential, so be sure to provide this sculptural work with the room it deserves. For that genuine (faux) atmosphere of the wild in your own home, consider a piece of wall art that is bold, lively and creative. 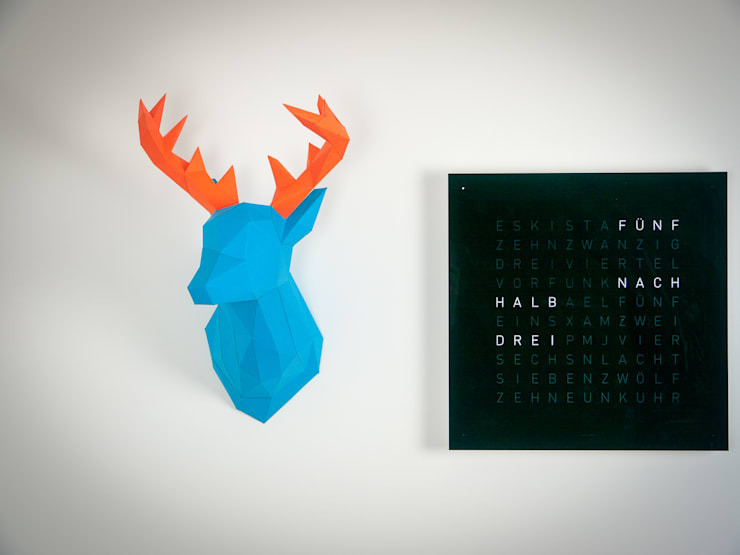 This paper reindeer sculpture is sure to create a stir with its geometric angles and well constructed paper antlers, a piece such as this will ensure your home is bright, stylish and never boring.